Step 1: Lay neckband with seam facing table. 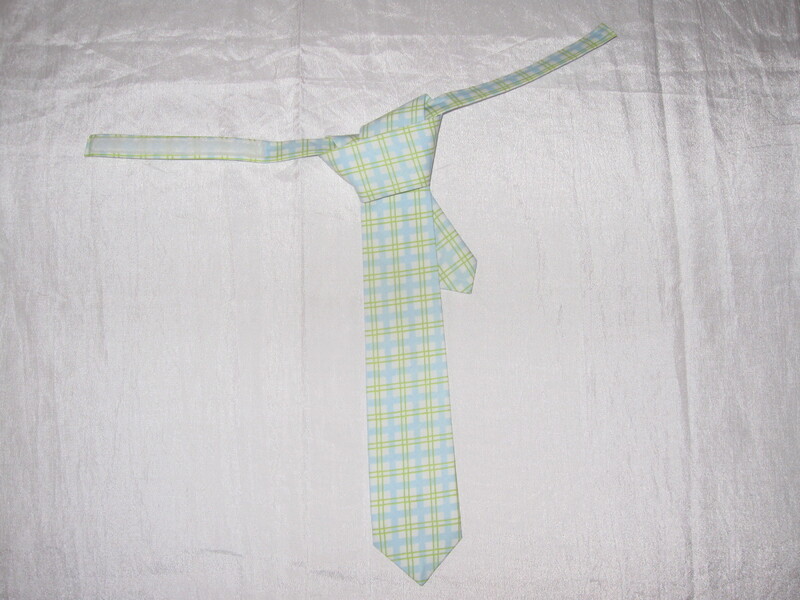 Place tie over neckband as shown….. 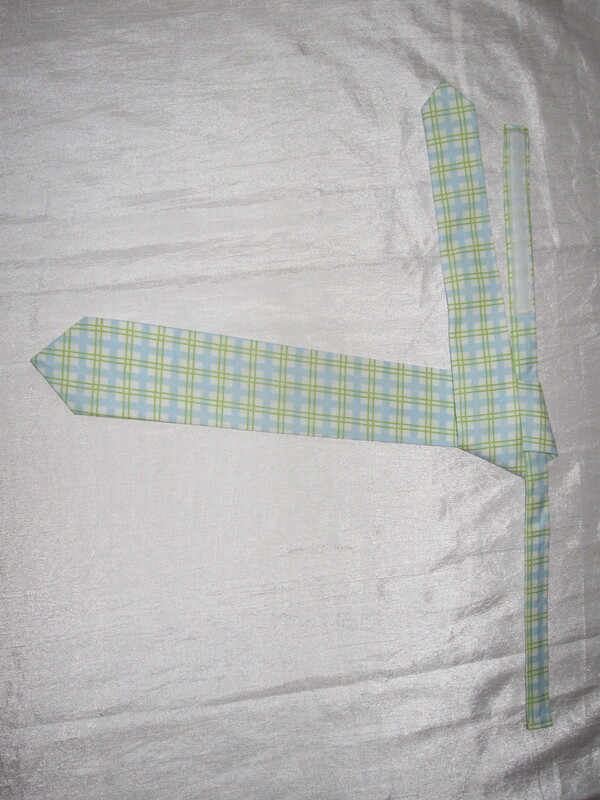 Step 2: Bring back of tie or thin end across front of tie towards the left. 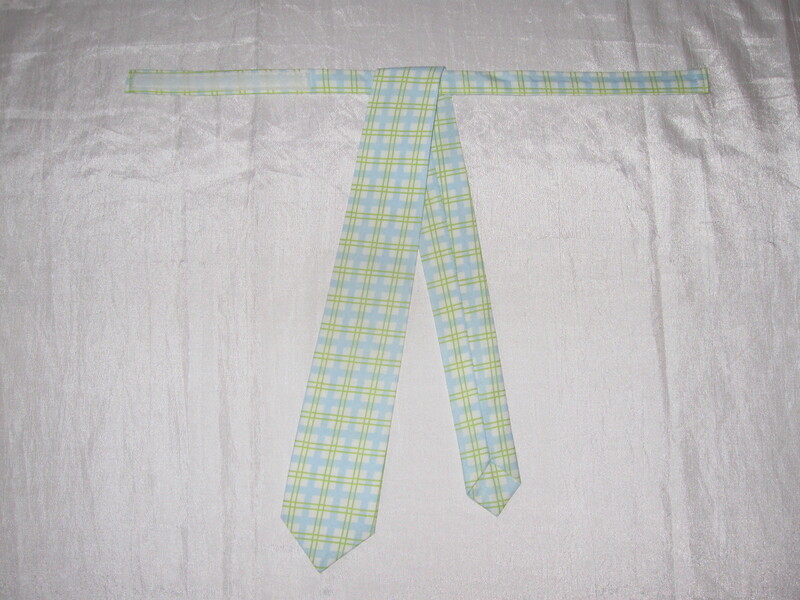 Step 3: Take back or thin end of tie under neckband, with seam towards you….Then twist thin end so that the good side is up and insert it into the “loop” you just made slipping it over the neckband and under the fat end as shown….. 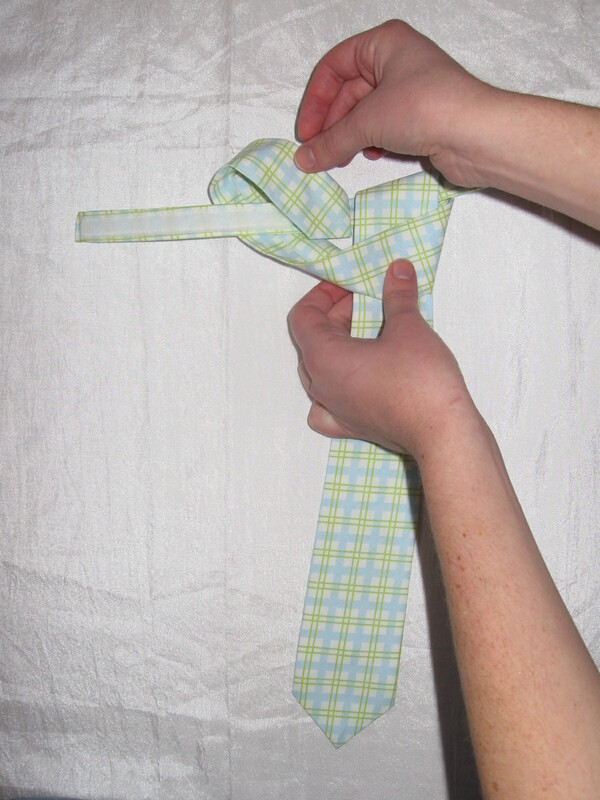 Step 4: Pulling the thin end through while holding the neckband, tightens the knot and you can make final smoothing touches to tie.